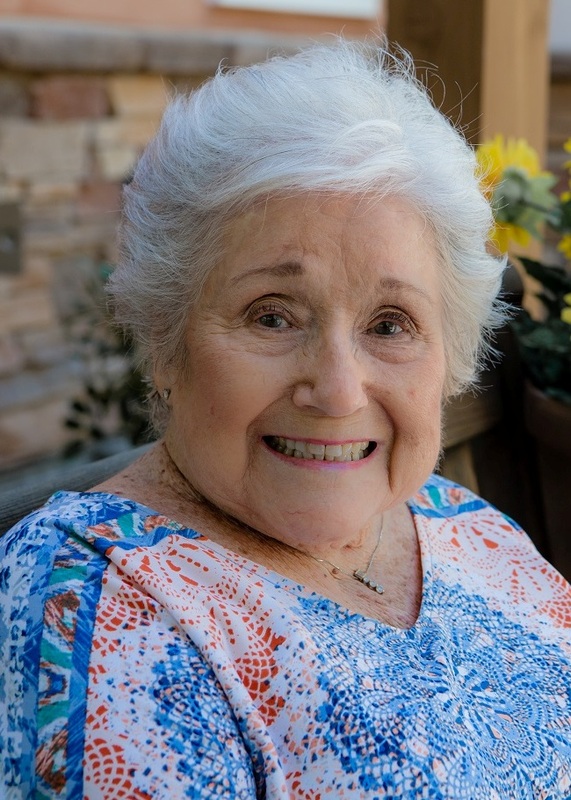 Mesa, AZ – Margaret Udall Warnock, 90, passed away peacefully Wednesday, November 22, 2017, at The Summit at Sunland Springs assisted living center. She was born September 22, 1927, in Holbrook, AZ, to Don and Emily Udall. She was raised and attended school in Holbrook and later, Lafayette, LA, and El Paso, TX. She graduated from University of Arizona, and in 1949 married James F. Warnock, Jr. Together they raised five children all over the world, owing to Jim’s US Army career. As their family grew, they called many states in the continental US home. The Warnock family was fortunate to also make their home in several far-away places, including Giessen, Germany; Orleans, France; and Bangkok, Thailand. Upon Jim’s’ retirement from the Army in 1974, Margaret and Jim made their permanent home in Arizona, first in Paradise Valley and later in Phoenix, Pine Top, and Mesa. Margaret loved Arizona’s Native American cultures. She volunteered at the Phoenix Indian School and served as a docent at the Heard Museum. She also served with the local chapter of the ARCS Foundation. Margaret was a faithful, life-long member of The Church of Jesus Christ of Latter-day Saints, where she served in numerous callings in Relief Society, the Young Women organization and Primary. She dearly loved children and with every addition of a grandchild or a great grandchild, her heart swelled. She was happiest when holding a baby. Margaret is survived by her sister, Virginia Udall, and children, Ann (Scott) Johnson, Karen White, Jamie (Norene) Warnock, Mary (Bill) Grass, and Patti Johnson; 13 grandchildren and 11 great grand children. Her husband, Jim, precedes her in death (2010). Funeral services will be held Monday, December 11, 2017 at 10 a.m. at the Mountain Vista Ward Chapel, 10305 East Southern Avenue, Mesa, AZ. Visitation will be at 9 a.m. prior to the funeral at the church. Interment will follow at National Memorial Cemetery of Arizona, 23029 North Cave Creek Road, Phoenix, AZ. Arrangements are entrusted to the care of Bunker Family Funerals & Cremation. In lieu of flowers please consider a donation to the Wounded Warrior Project or Veterans of Foreign Wars.